Getting sick or injured on the job can be financially devastating. Workers’ Compensation laws were designed to protect you for just this reason. However, should your Workers’ Comp claim be denied, you could be faced with mounting medical bills and the prospect of lost or drastically reduced wages. That’s where a Workers’ Compensation lawyer can help. The experienced Workers’ Compensation attorneys at Rotolo Karch Law will work to protect your rights and fight to get you the benefits and compensation you deserve. Workers’ Compensation is insurance that covers medical expenses and wages in the event you suffer an illness or injury as a direct result of your job. Laws mandating this coverage have been in effect since 1911. Today, every state in the nation has Workers’ Compensation laws, although specific laws may vary by state. New Jersey law states that all employees must be covered by Workers’ Compensation Insurance or an equivalent federal program. Unlike healthcare insurance, Workers’ Compensation insurance must be paid in full by your employer; you, as a worker, are not required to make any contributions toward your coverage. Generally speaking, Workers’ Compensation precludes your right to directly sue your employer for a work-related illness or injury. Rather, if you get sick or are injured on the job, you must file a Workers’ Compensation claim with your employer or his or her insurance company. Your claim is then reviewed to determine if the illness or injury was indeed job-related. If your claim is accepted, your Workers’ Compensation benefits should cover medical expenses related to that specific illness or injury, as well as your wages, or a portion of them, during your recovery. Workers’ Compensation Insurance also covers permanent disability in the event you suffer a debilitating injury or illness, and death benefits to your dependents if your death can be attributed directly to your job-related duties. In New Jersey, there is a seven-day waiting period before you can receive your Workers’ Compensation benefits. At the end of this waiting period, which includes weekends and holidays, your benefits will be retroactive to the date of your injury. the result of intoxication by drugs or alcohol. Workers’ Compensation Insurance does not cover independent contractors or volunteers. If you become sick or are injured while working in one of these capacities, you have the option of filing a personal injury lawsuit. There is the possibility that your Workers’ Compensation claim will be denied even if your case fits the criteria determined by law. Should this happen, you have the right to appeal the decision. Disputed claims are decided by a Workers’ Compensation Law judge. If you sustain an injury or illness you believe to be directly associated with your job, you want to make sure your rights under the State’s Workers’ Compensation Laws are fully protected. 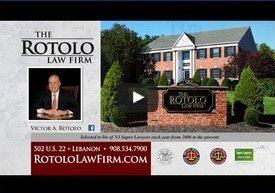 The attorneys at Rotolo Karch Law have decades of experience in matters pertaining to Workers’ Compensation and Personal Injury Law. 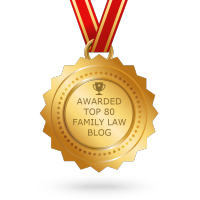 Call today to discuss the specifics of your case with one of our legal professionals.